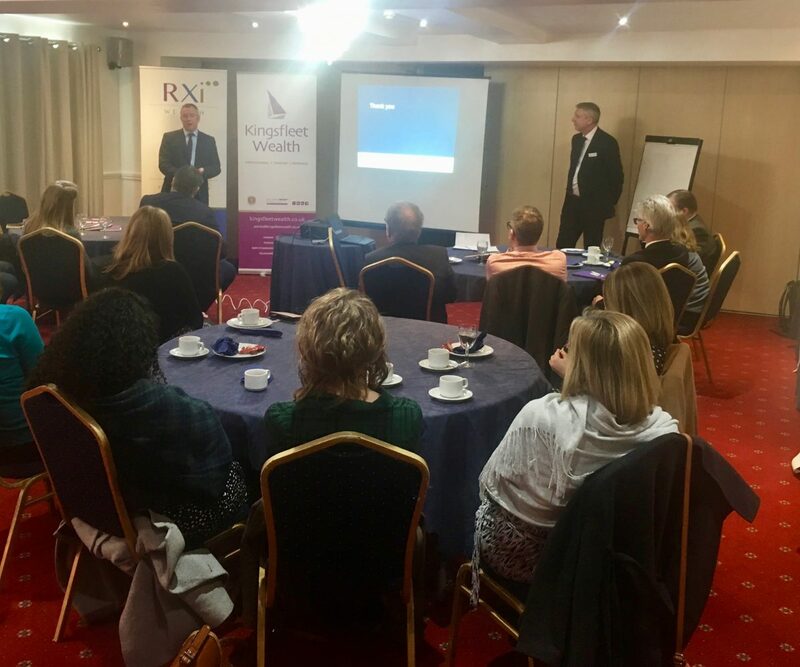 On Tuesday 26th March 2019 Kingsfleet Wealth hosted a seminar for solicitors, at the Claydon Country House Hotel, sharing the latest expert views and information on the overlap between legal and financial advice. Attendees enjoyed a delicious breakfast buffet and the chance to network, before Colin Low’s opening speech. 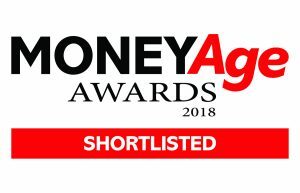 The Manging Director of Kingsfleet Wealth re-capped the many highlights of the year; including multiple awards success, progress in sustainability and various business philanthropic ventures. 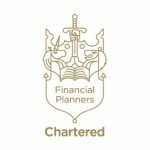 Colin was pleased to talk about Kingsfleet Wealth’s renewed Chartered Status for 2018, evidencing that customer focus remains at the very heart of all that they do. 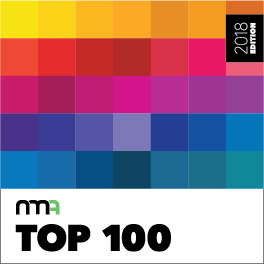 Other achievements included making the New Model Adviser Top 100 list for the third consecutive year. 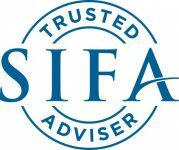 Colin then introduced guest speaker Dave Seager, SIFA Development Director, whose speech focused on the new Solicitors Regulatory Authority Handbook, which will replace the SRA Handbook on 25 November 2019. 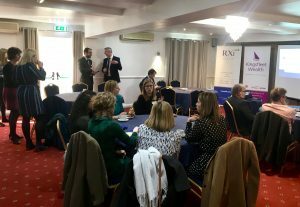 Dave explained the reasons behind the Looking to the Future Programme and the key reasons why the SRA are making these changes; ultimately to make it easier for firms and individuals to use, to run their businesses more efficiently and compliantly and how this will in turn benefit the end client. Dave’s speech couldn’t have been more timely as the final rules were published just six days earlier, giving firms and solicitors eight months to put their systems in place. Working closely with the Solicitors Regulatory Authority, Dave was able to provide insightful information on the very real benefits of providing joined-up legal and financial advice, as recommended by the SRA and in line with what is often in the client’s best interest. Dave concluded his speech with a list of what clients look for in a legal or financial firm’s website; namely transparency and the demonstration of completeness of service. 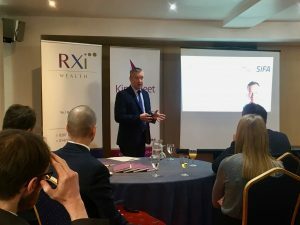 Dave then handed back over to Colin, who spoke about the importance of independent financial advice, which is unbiased, unrestricted and always from the client’s perspective. 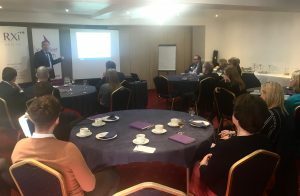 Colin also mentioned the benefits of being Chartered and of belonging to industry regulators and governing bodies, which recognise excellence and keep advisers informed of issues relevant to legal professionals and their clients. Colin concluded his speech by reflecting on events since 2016, both globally and closer to home. 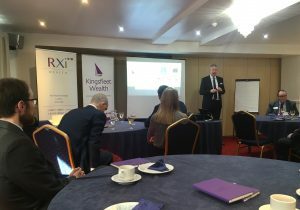 He shared some financial graphs, showing how Kingsfleet Wealth’s clients’ investments have out-performed trends over the last two years, before looking at possible outcomes of Brexit and how this will affect both Sterling and the FTSE 100.